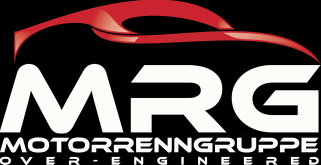 MOTORRENNGRUPPE is an internet based retailer that offers aftermarket performance and cosmetic parts to our customers at significant discounts below Manufacturer's Suggested Retail Price (MSRP). MOTORRENNGRUPPE is internet based with a goal of eliminating the "overhead expense" burdens that our "brick and mortar" counterparts carry. The savings we attain on smaller facilities, scaled inventory management, and minimal advertising are passed on to our customers for substantial savings. 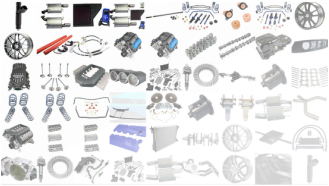 MOTORRENNGRUPPE customers receive consistent and substantial retail discounts across all product lines. 1) ﻿INVENTORY MANAGEMENT - we operate with very low physical inventory and thus our facilities can remain very small and efficient. Our pricing is consistently low because there are no physical inventory backlogs. 2) ZERO ADVERTISING - word of mouth is the cheapest form of advertisement and our satisfied customers help us grow our business by sharing their experiences. 3) REDUCED OFFICE OVERHEAD - minimal inventory means smaller offices and a smaller labor force. Low payroll and rent costs equal big savings for our members. 4) ORDER ACCUMULATION - we accumulate orders throughout the week from our members and process orders only twice per week on Monday and Thursday. We operate with reduced labor on Tuesday, Wednesday, and Friday and are closed on Saturday and Sunday to help save you more money. Orders submitted Thursday through Sunday are processed on Monday. Orders submitted Monday through Wednesday are processed on Thursday. We monitor emails and questions throughout the week and respond as quickly as possible. We strive to respond to all emails and questions within a 24 hour period.